Hi, as someone who runs websites I would want to know if something was not working according to plan. 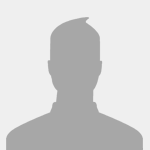 Since this a "Community" type of website I presume profile photos are of importance to AutoHotKey.com. Currently, there is not way to upload and place a custom profile image. I've tried uploading a jpg, png, tiff, and gif (all above 200px in width) versions of my profile pics and your forum system fails at processing them as it should. It looks to me that perhaps it is a configuration issue not difficult to solve. Did you guys, your hosting company, or who ever runs your AutoHotKey.com moved some of the internal component's folders around? In any case, when getting new people to enthusiastically join your community, it is not a good sign for them to experience AutoHotKey.com as working mediocrely because they might start to think AutoHotKey is the same way. I have not been able to change my photo either, even after trying several formats with a very small size file. I have just spent an hour in Photoshop trying every possible permutation of image settings and make up. Nothing is getting through. I was able to get a huge wallpaper to upload without returning an error, but I was unable to move beyond that as it wanted me to crop it. But no image was displayed for cropping (same broken file image) and clicking OK under the cropping area did nothing. When I clicked on Done it told me to finish cropping the image first. Have you found a fix for this joedf? I still can't edit my profile picture. But I've just saw a post from a new user (joined today) that has profile picture. Hopefully that is a sign that we'll soon be able to edit our profiles as well. Is there any way the developers of the page would prefer the upload to be made? I mean, could you guys inform us a way to upload that would increase the odds of things working out? I see a few new people with avatars and several others without, so I think there must be a way to upload the images that I haven't thought about yet. Any fix for his yet? I also cannot do anything as I don't have access (I think) to the needed stuff, or the knowledge of how anything forum-related works, internally. New to AHK and the forums. I made an attempt to upload a small avatar 200x200 px in png, bmp, gif, jpg, with no success. The avatars seem to be stored in png format. Maybe it's just as simple as you have to have "x" posts to upload an avatar? Or perhaps something more problematic like a "chmod" needed to be executed. Anyways, stuck with Mr Generic Silhouette Head for now. Great solution with Gravatar! At least we can have avatars! Thanks!